It used to be that when the gardening began then the needlework was set aside. and to be honest there's not been much happening of late but I'm determined to get back at it! In the meantime I've finally finished a sewing project. 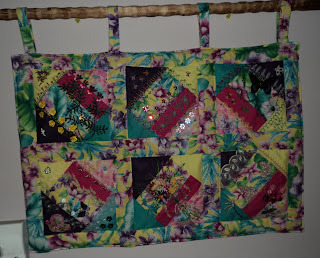 These blocks were done in a RR with ladies from the CQI group. 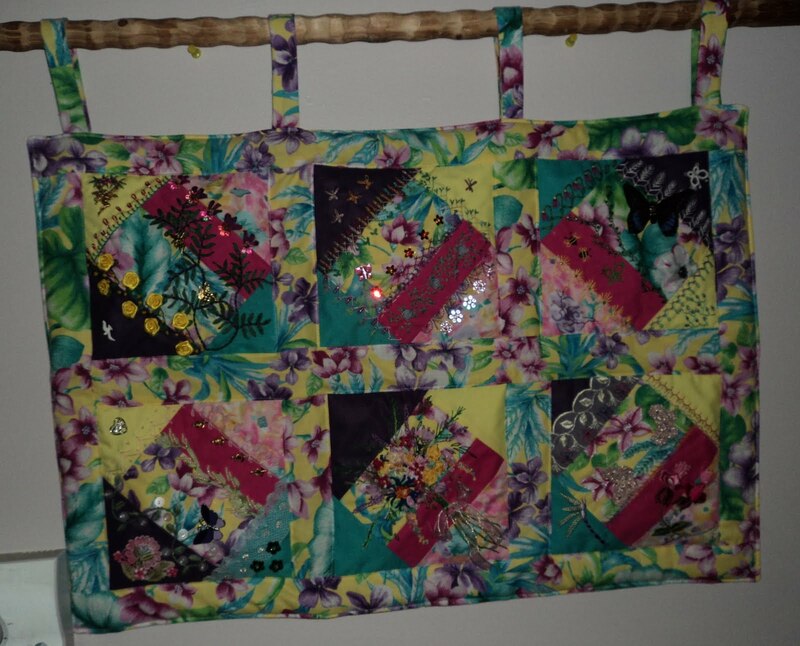 It now hangs where my spring wall hanging was in the hopes that it will encourage the warmer weather to come and stay for a while.